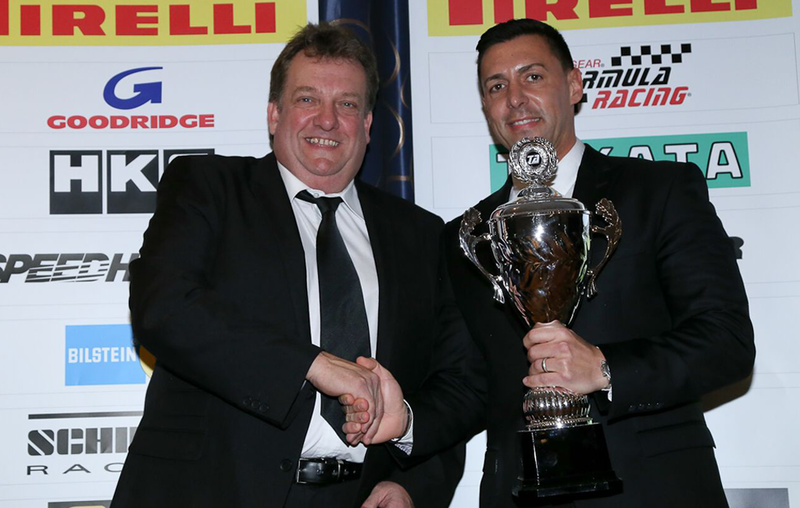 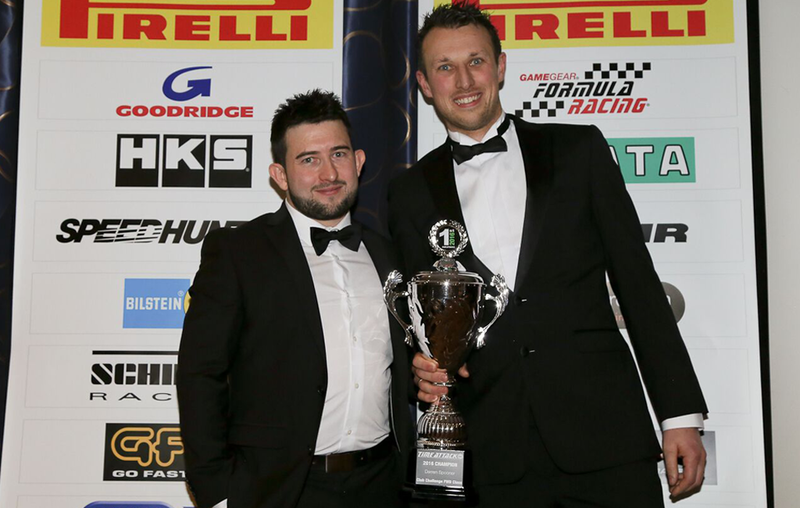 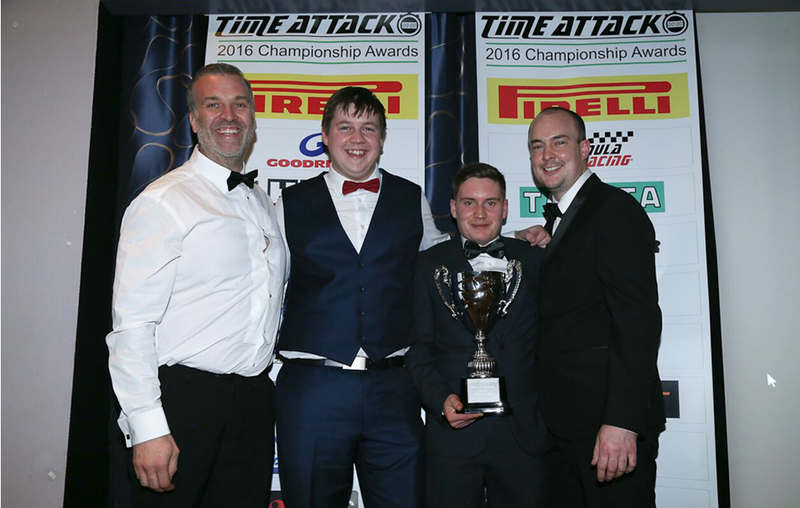 2016 Season Awards Dinner Overall Class Results - Time Attack® - It's not racing... 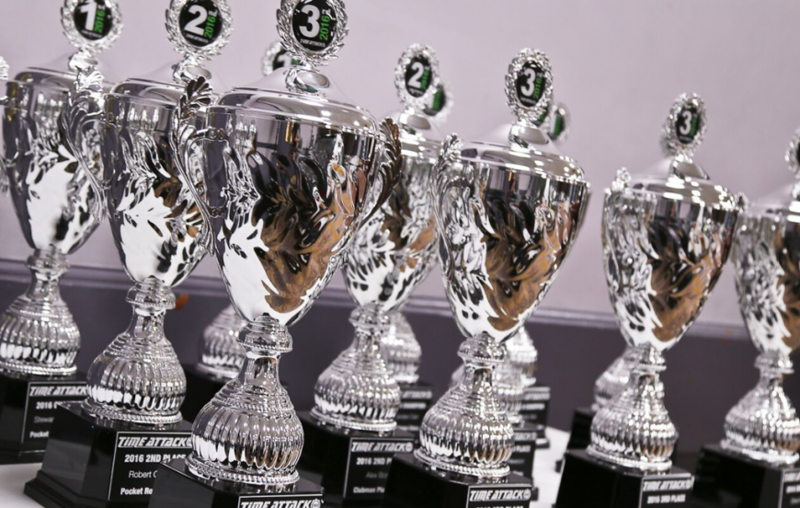 It's Time Attack!! 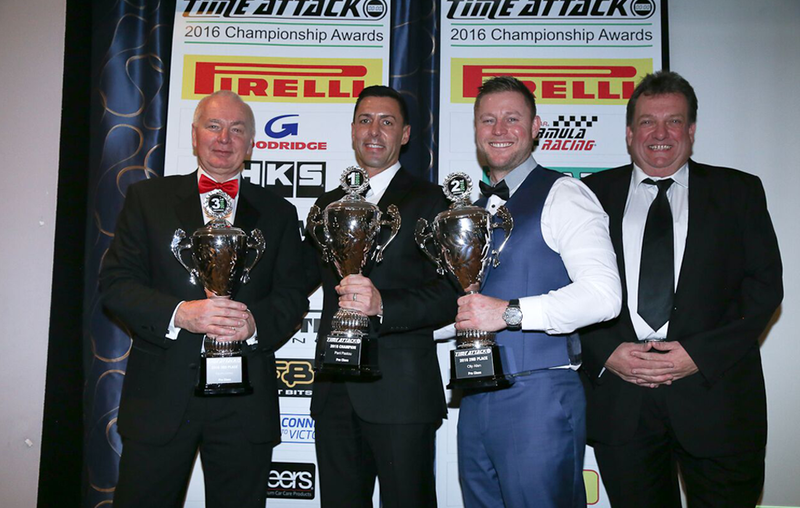 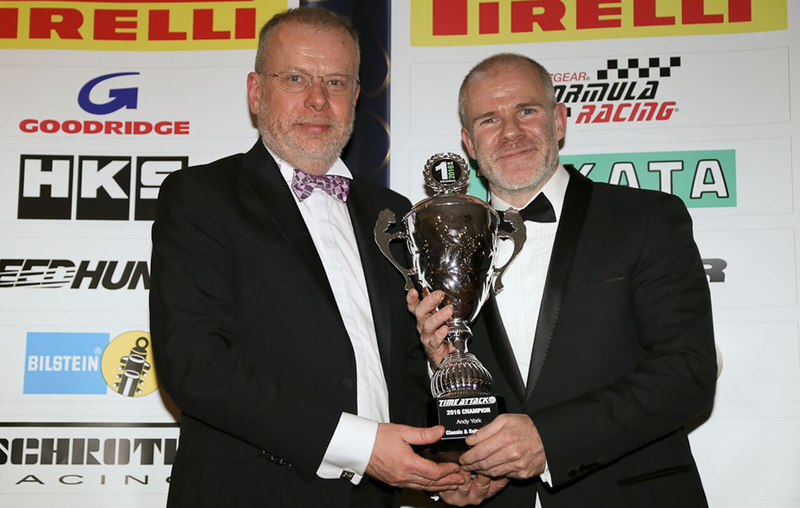 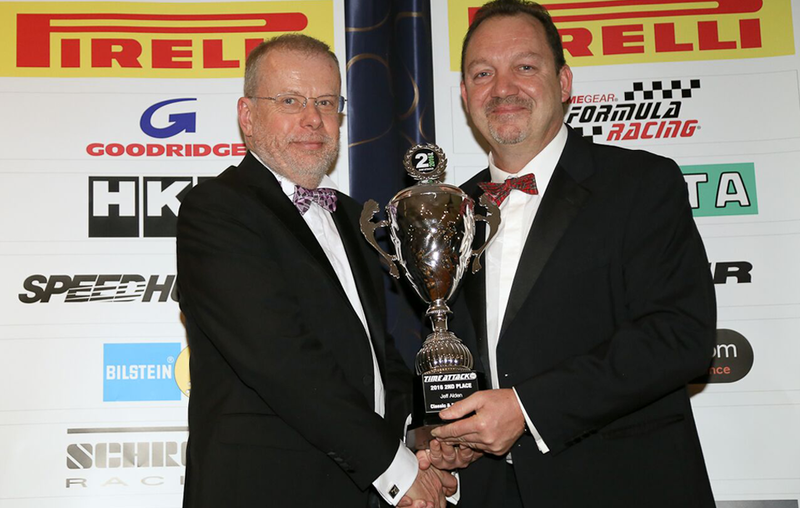 On 10th December 2016 the inaugural MSA Time Attack Championship Awards Dinner was held at the Mercure Hotel in Daventry, UK. 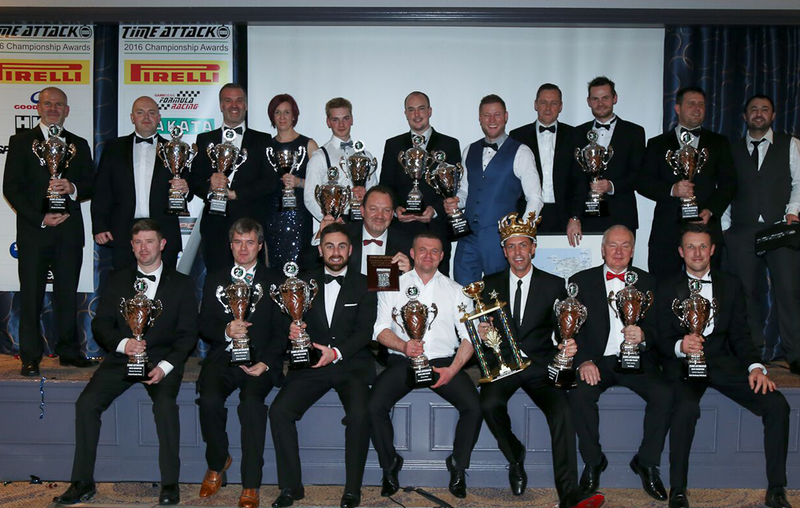 Teams, drivers, sponsors and staff gathered for this very special occasion to present the 2016 season trophies to the champions and runners-up in each Time Attack class. 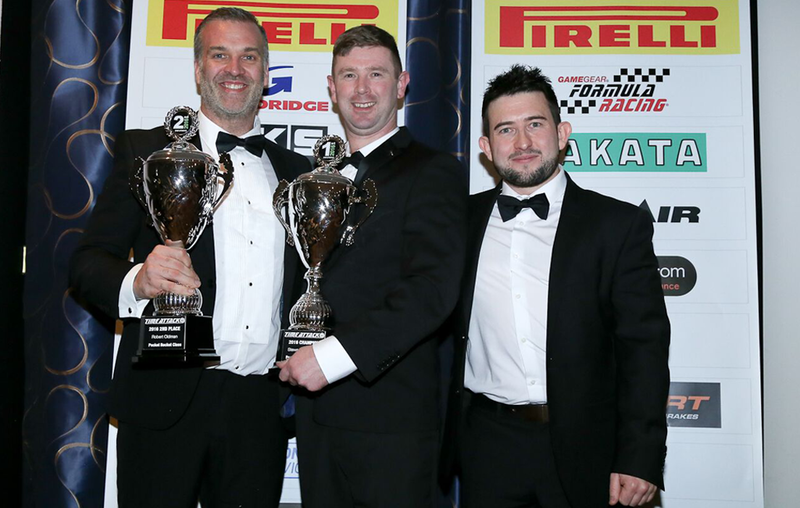 130 people attended the formal black-tie event with a drinks reception, three course dinner, the awards ceremony and then a disco until the early hours. 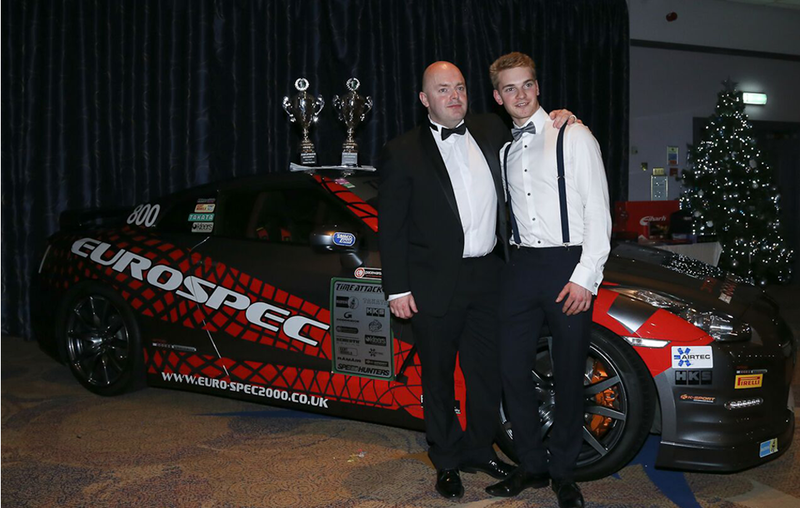 As you expect there was plenty of drinks flowing, good humour and a superb party atmosphere throughout. 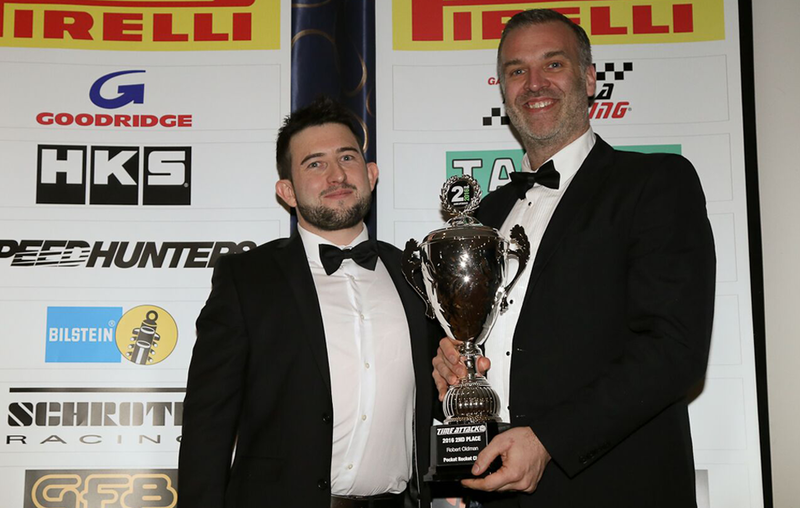 Maz Yumeda of HKS Europe Ltd presented the evening alongside Simon Slade, our Championship Coordinator with a running video of the season highlights overall as well as individual video footage of each driver and car as the trophies were presented one by one. 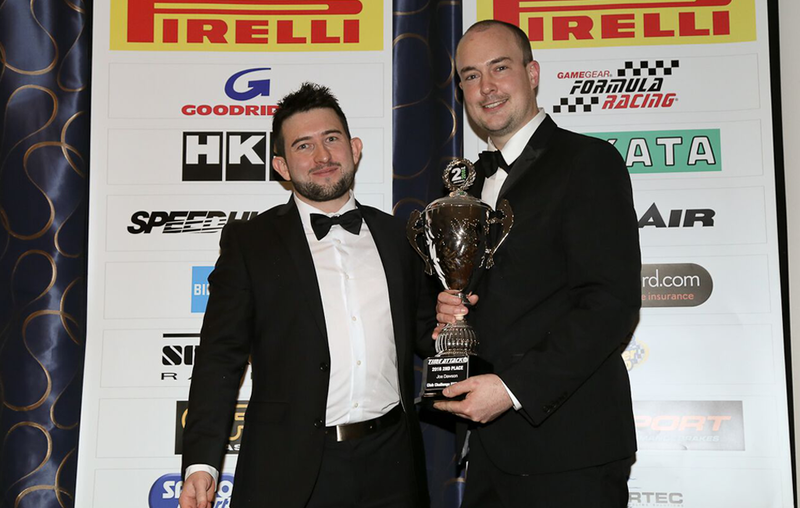 The video footage was created for the event by our season long film guru, Alex of 24 Productions. 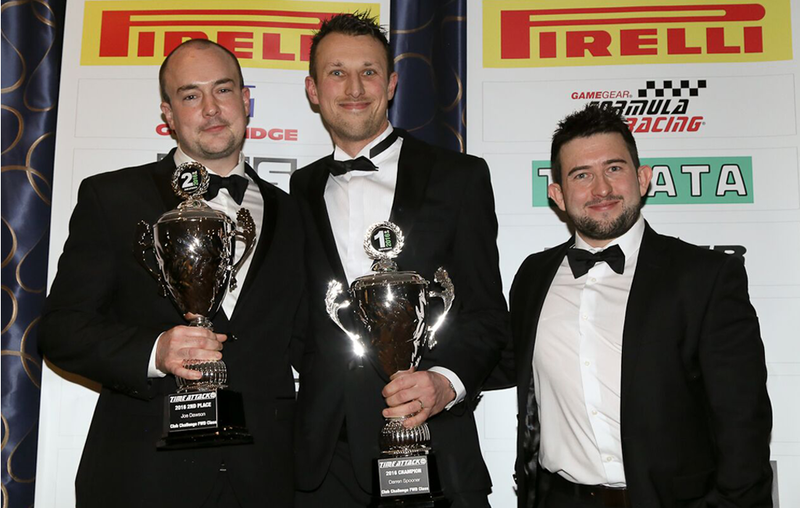 Pictured here is a group shot of the podium drivers after the awards had been presented individually. 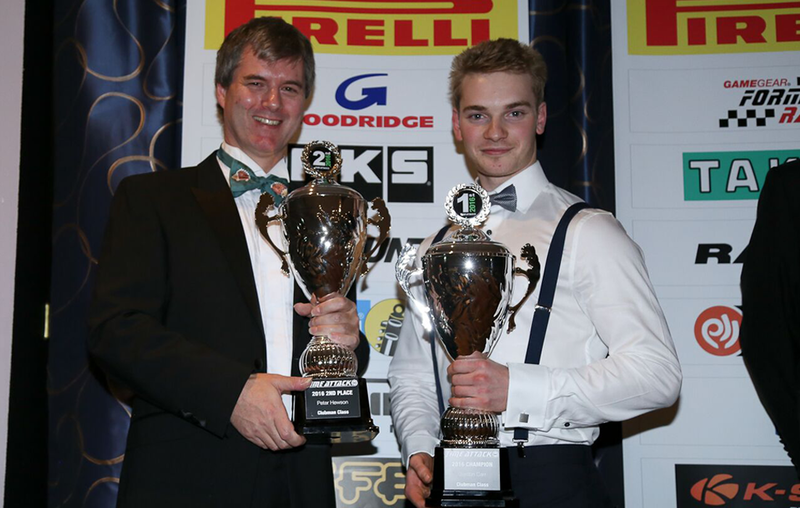 Pictures of the presentation for each driver and class group shots can be found below. 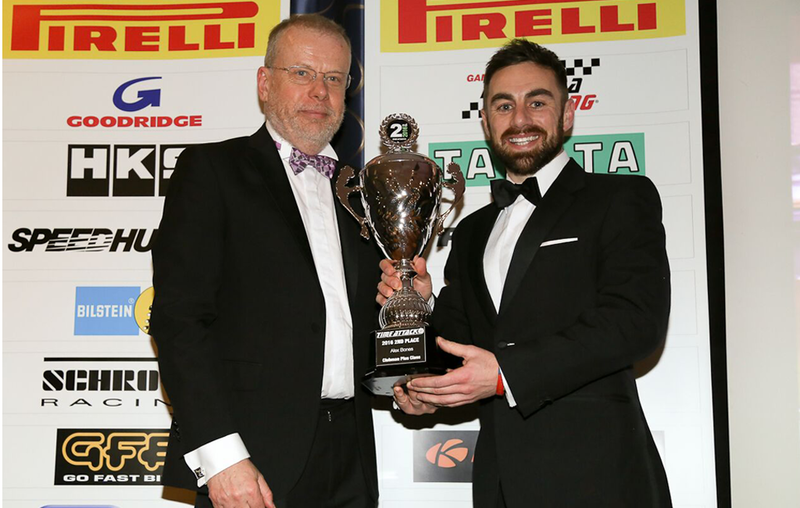 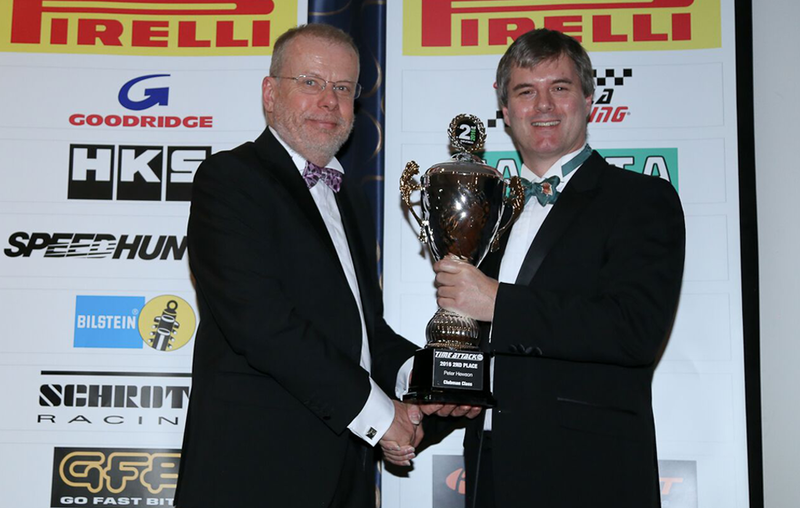 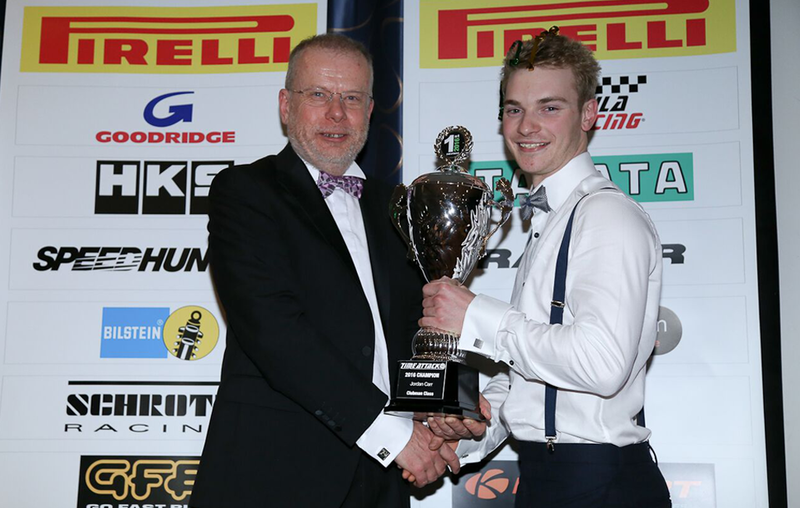 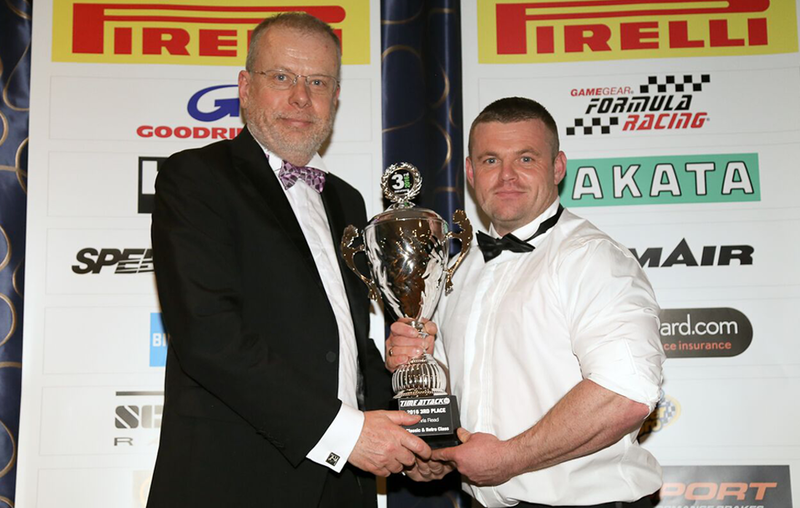 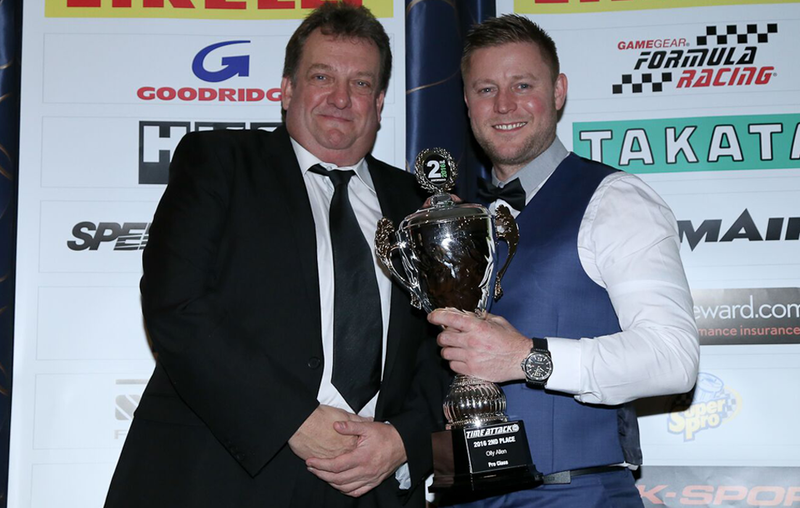 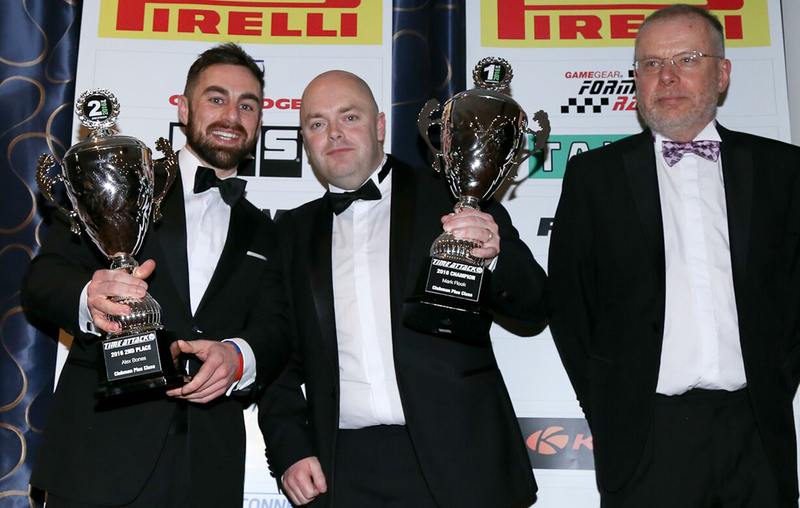 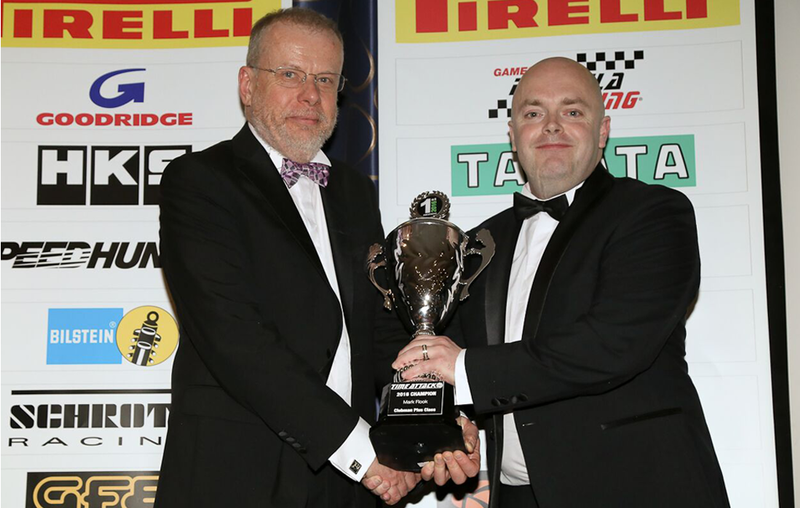 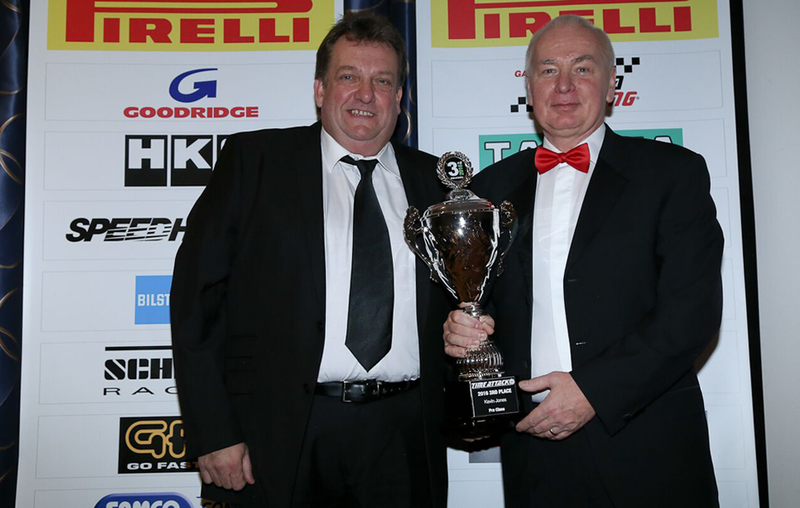 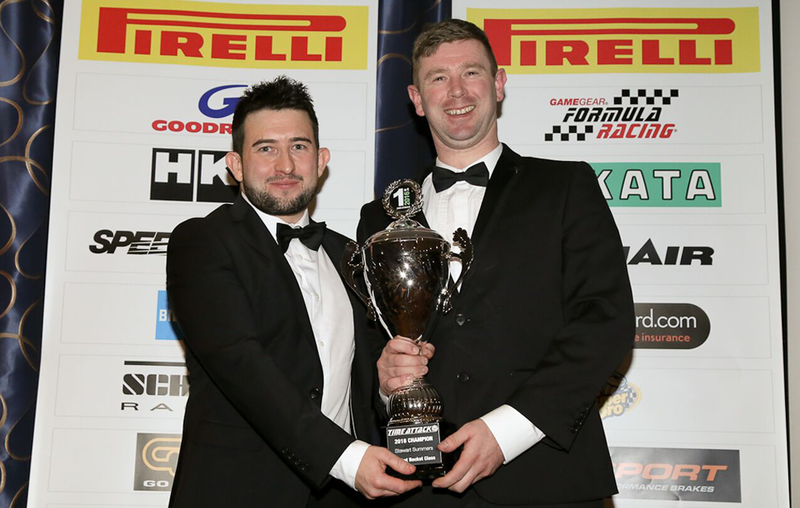 Sadly not all 2016 championship podium drivers could attend to collect awards on the night and as a result are not pictured in places therefore confirmation of the final 2016 results standing can be found at the bottom of this story for clarification. 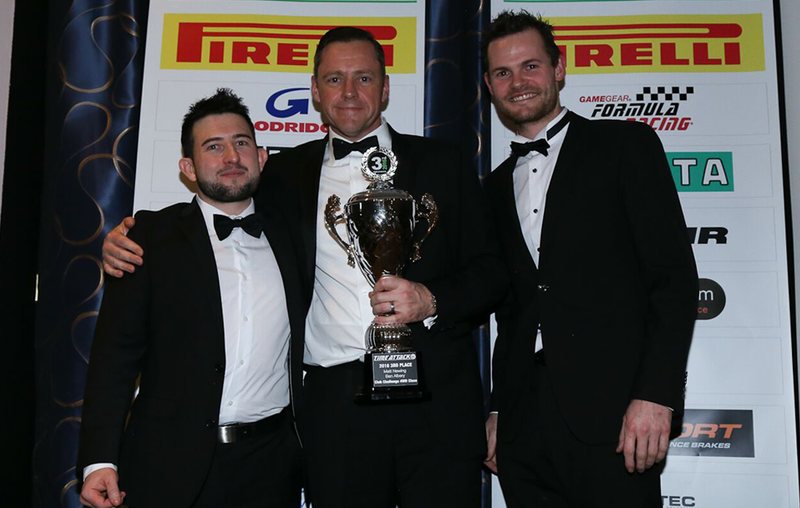 Additional award for the Best Presented Team for the 2016 season went to the guys at SCC Performance. 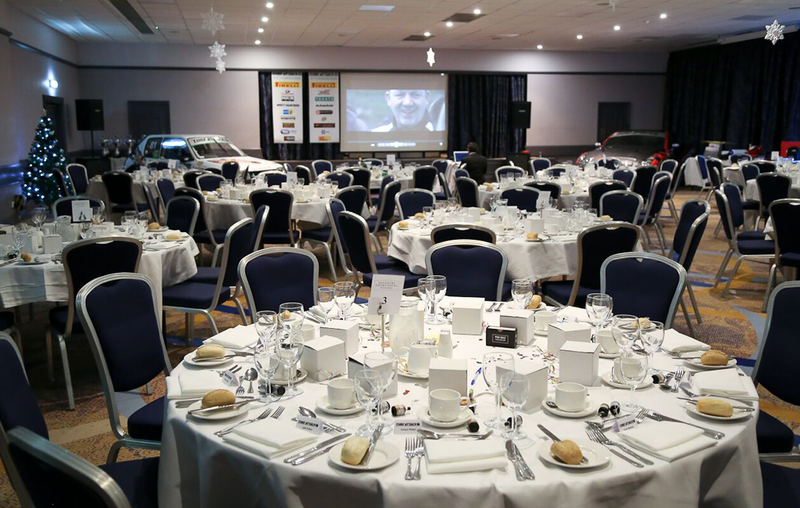 During the event a charity raffle was held in aid of the Royal National Lifeboat Institution [ RNLI ] and we are very pleased to announce that the sum of £2050 was raised on the night. 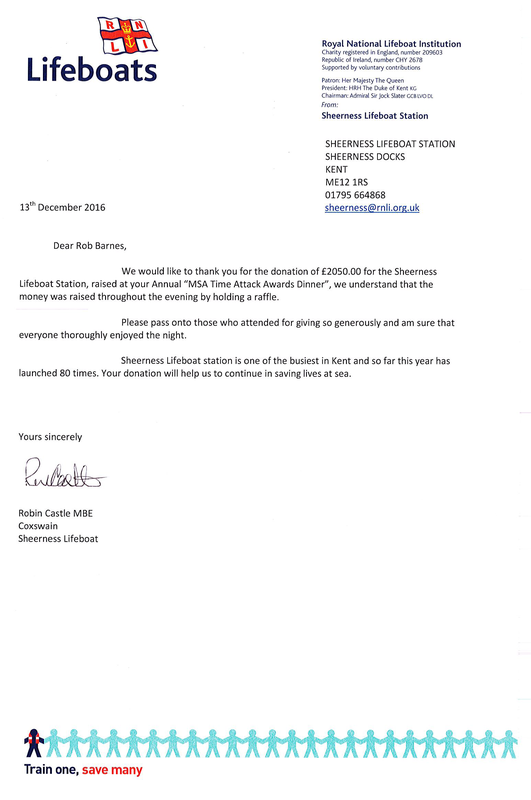 A cheque was presented to the Sheerness Lifeboat Station Coxswain, Robin Castle MBE. 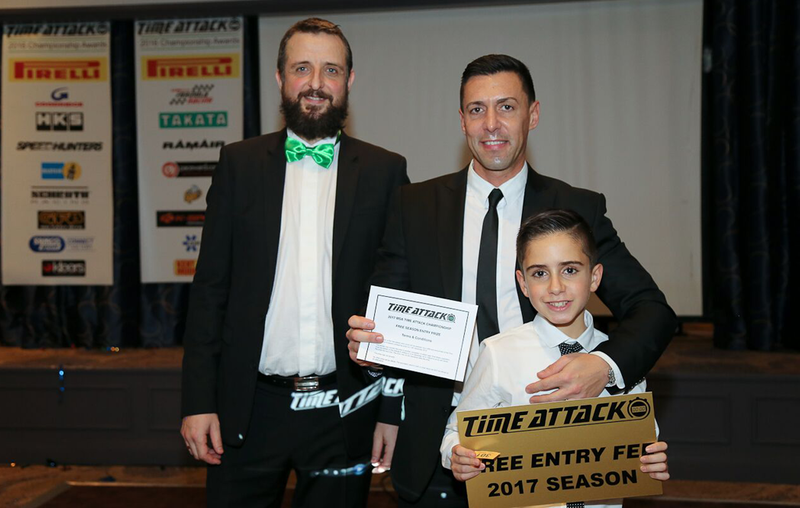 Various super prizes were on offer from our sponsors and associated industry folk and the main prize went to Pani Pastou – a free entry into Time Attack for the coming season. 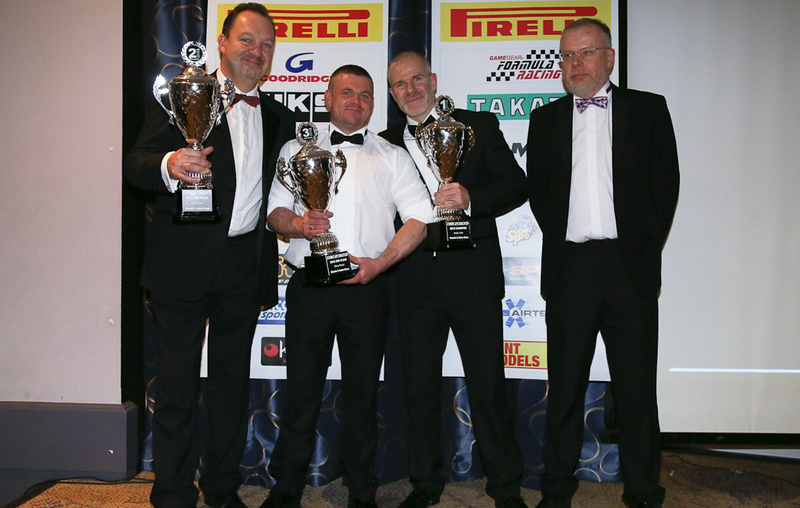 The prize was presented by Andy Barnes from Time Attack [L] and Pani Pastou and his son. 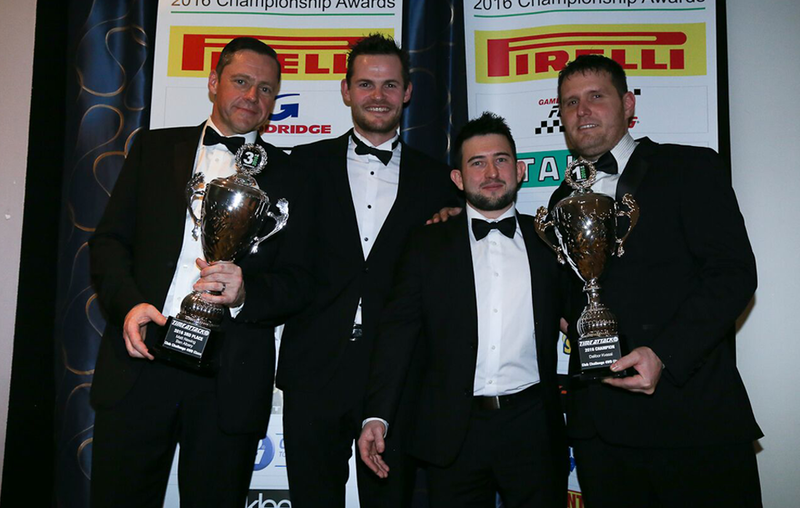 We would like to thank all 2016 teams, drivers, families and fans for a great season and congratulate our Champions of 2016.